The Blazer Woollen Dog Coat is made with wool mix fabric, commonly used in making human blazer coat. The fleece lining keep the dog warm and comfy in cold weather. The coat is machine washable, wind proof and shower proof. The buttons are made from wood. Forward folded collar to keep the neck warm, as well as to make your dog look cool. This blazer wool dog coat is available in grey, maroon, brown and khaki green. There are four sizes available, measuring from the neck to the root of the tail. Please click on the Sizing tab above to find the right fit for your dog. 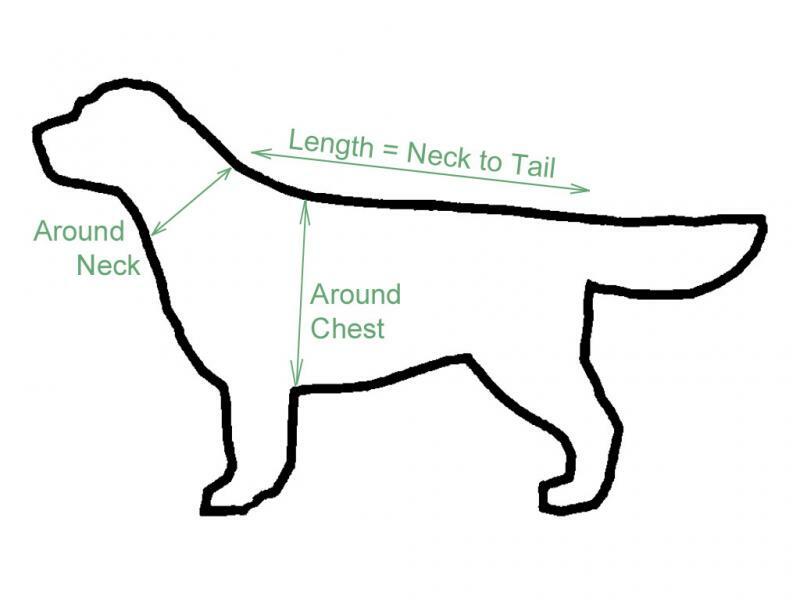 Your dog's chest is measured from directly behind the front legs and behind the back. This is generally the most important measurement for clothing. If it is too small, the item will not fit, if it is too big, your dog will not walk comfortably. This area is generally the widest part of a dog's body. If a measurement falls between two sizes, we recommend going for the larger size.